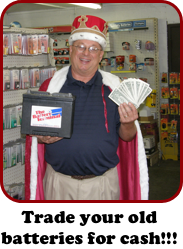 The Battery Terminal Inc. is a "VALUE ADDED BATTERY SPECIALIST " with distribution facilities in Ashland ,Ky. and Saint Petersburg, Fl. Founded in 1984 , we have been providing quality batteries and battery related products to our consumer and commercial customers for more than 20 years. 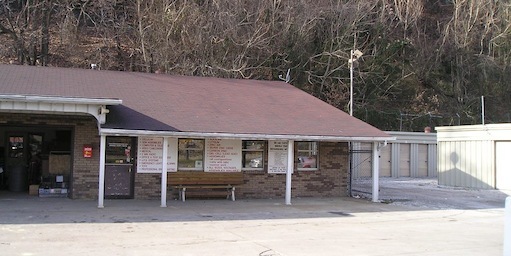 Our Kentucky distribution center is located at 3836 Winchester Ave., Ashland, Ky. 41101. Local phone is : 606-329-1473. We here at the Battery Terminal Inc. want you to be 100% satisfied with your purchase! We offer a 90 day exchange/refund policy. If you are not satisfied with your new product please contact us for a full refund or exchange. Customer will pay for the shipping of the product back to the Battery Terminal Inc. We will pay for the shipping of the exchange back to the customer. We take pride in our products and want to offer you the best customer service in the market. Please feel free to contact us with any questions or concerns. Our Kentucky distribution center (Winter 2006).